It’s summer, and I’m not in Italy. That fact is simply a tragedy, so I’m at least trying to look – and drink, the part. If it can’t be a glass of red overlooking Piazza Navona, then I suppose an Aperol Spritz on the chic outdoor patio at Zinc Café downtown will have to do. Whether it’s the streets of Rome or my hometown LA, summer is made for wandering, in chic attire no less. Considering that LA and Italy are both sweltering this time of year (both with heat and tourists), it actually isn’t that difficult to redefine my wardrobe for a European summer vacation – however real or imaginary. 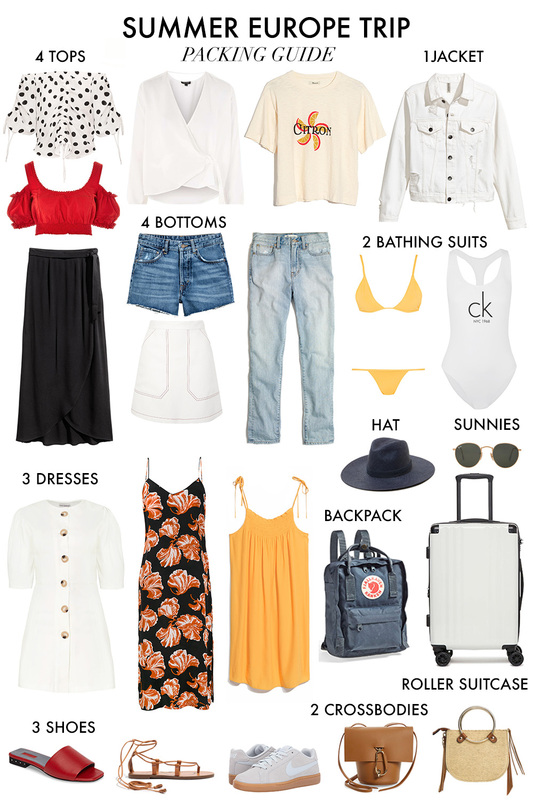 I’ve created the perfect packing guide for a summer trip to Europe, with enough outfit combinations to last you at least 3 weeks, yet small enough to fit in a carry on. This structured dress with oversized buttons makes the cut, as it’s the embodiment of the iconic summer dress for wandering the cobblestone streets of dreamy European towns. Paired with flat gladiator sandals made for walking, it’s the perfect sightseeing-to-aperitif look. Packing light is a skill that I’ve come to learn only recently, with my journey starting in Southeast Asia a few years ago with a major packing fail. I somehow thought it was a good idea to bring a 60 pound suitcase on a month long adventure, and after that miserable debacle of weight overage charges and panicked ferry rides, I vowed never to overpack for an international trip again. The trick is to bring separates, with each top and bottom going with each other in endless combinations. 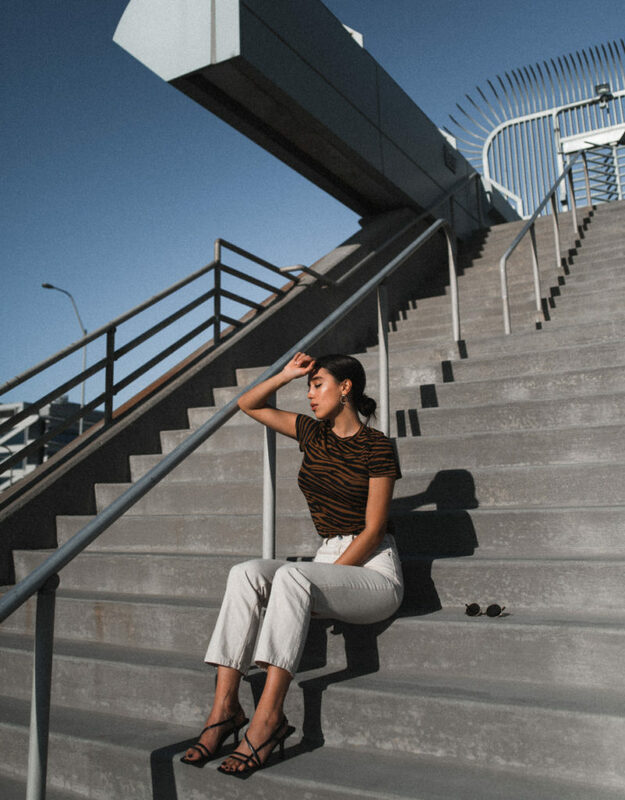 Dresses are a must, but make sure they look just as good with sneakers as they do with dressy sandals – and please for the love of God, do not bring heels (unless you plan to go straight from the hotel into an uber and back again, but isn’t the point to walk and explore?). If you’re strategic enough, you can achieve weeks of a European vacay without repeating any looks, so your Instagram fam won’t be any the wiser. Scroll down for my guide! You look so cute in white..